It was a pleasure to be a guest and one of the featured composers of the AVEIRO_SÍNTESE 2016 festival and the Dias De Música Electroacústica in Portugal earlier this month (5-10 April). We did a portrait concert in Aveiro and Seia featuring five pieces of mine (two 4-channel fixed media, three instrument plus electronics) spanning the years 1994-2015. The technical challenges of doing five of your own pieces back-to-back, all with different technical and performance requirements, bespoke software/hardware configurations, and sample rates (don’t forget to set those), was not to be underestimated. My list of instructions for between-pieces setup changes ran to two pages but following these to the letter each time led to two concerts without technical problems (always a bonus). It was lovely to work with Hugo Simões on a performance of my 2011 piece don’t flinch. He brought a sensitivity and openness to experimentation that lent a great deal of interpretational weight to what is on the surface a rather simple score. Henrique Portovedo performed two of my saxophone works, flung me, foot trod from 1994 and their faces on fire from 2014. Both are difficult for the saxophonist but faces was a real technical challenge for me (again). 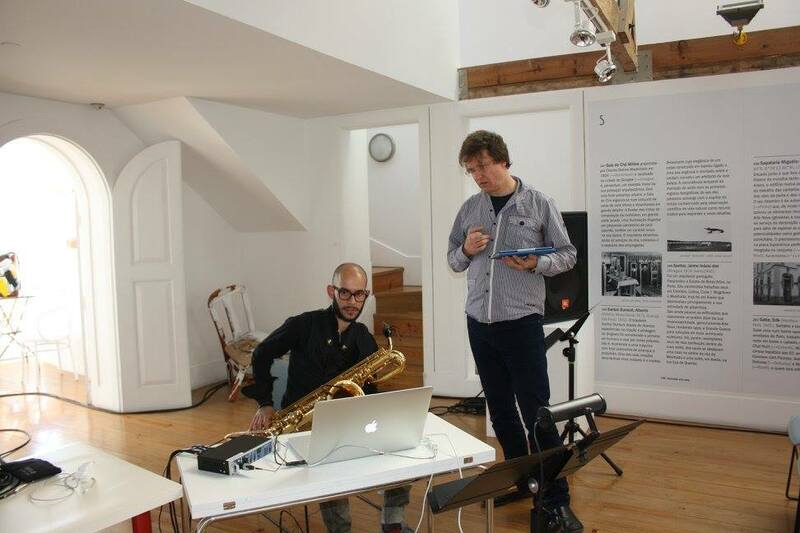 It uses Arshia Cont’s fantastic antescofo score-following software on a non-fixed score—it’s configurable by the musician via a MaxMSP interface to slippery-chicken and then rendered to score and electronic format in advance of the performance. The computer part follows the live baritone sax and fires off bunches of samples in real-time rhythmic coordination. It’s quite a groovy piece and fun to do, but after the software hung just at the end of the premiere in San Marino two years ago I wanted to take it apart and find out what was going on. It turns out that I couldn’t quite get to the bottom of the problem. antescofo was certainly not the issue, rather, it seems like it was a problem of flooding MaxMSP with MIDI messages. After a lot of tweaking I was able to handle these better and reduce but not entirely eliminate the problem, but because the software would never actually crash (it only hung: the spinning beach ball of death) I could never get a crash report pointing to the actual cause of the problem. Frustrating and also a bit nerve-wracking. On the other hand, flung me, foot trod is hard as hell for the alto saxophonist but a breeze for me on electronics. It’s a good old instrument-plus-stereo-tape piece so presents next to no software or hardware challenges. After all the struggles with their faces on fire I had to wonder about the efficacy of complex real-time systems to create lasting and somewhat guaranteed musical results. Apart from the variable success of the results, the sheer work involved in keeping such pieces and systems compatible with current technology is a challenge that all by itself mitigates against the longevity of a project. Of course, the sheer interactive element of the score following is a thrill, but then as John Croft has more than intimated, a sense of “liveness” is not directly or exclusively coupled to real-time systems alone (in his Theses on liveness, Croft draws a distinction between procedural and aesthetic liveness). When played with accuracy in synchronising with the ‘tape’, flung me, foot trod feels very live; however, it’s hell of a job for the musician to achieve this, so hats off to Henrique for pulling it off. I also did a concert in Aveiro which included my latest project jitterbug along with the very piece that got me into computer music and out of the UK for six years back when I was a lad—my teacher John Chowning’s Turenas. This is the piece which gave the world FM synthesis and four channel spatialisation that includes Doppler Shift and movements outside the periphery of the speakers via carefully controlled interpolated mixes of direct and digitally reverberated sound. Bonzer. 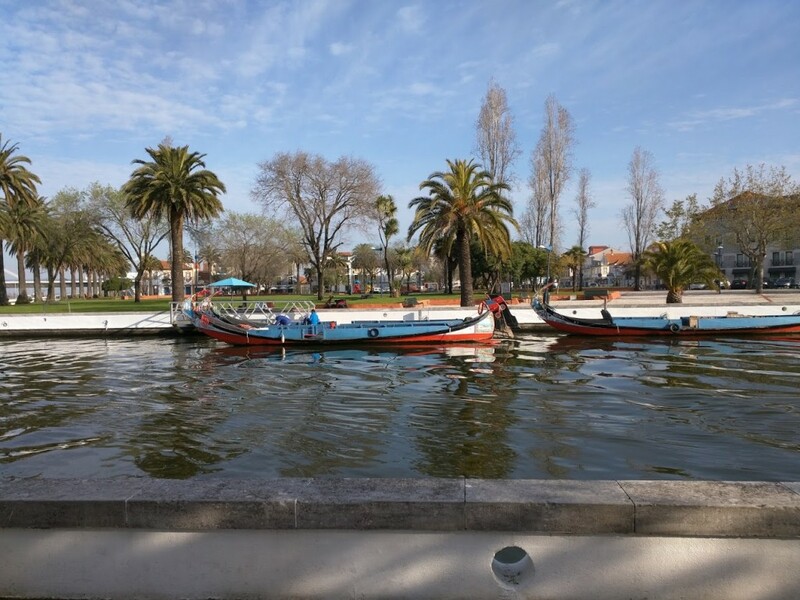 Palm trees and boats opposite the Art Nouveau Museum in Aveiro, where we performed. 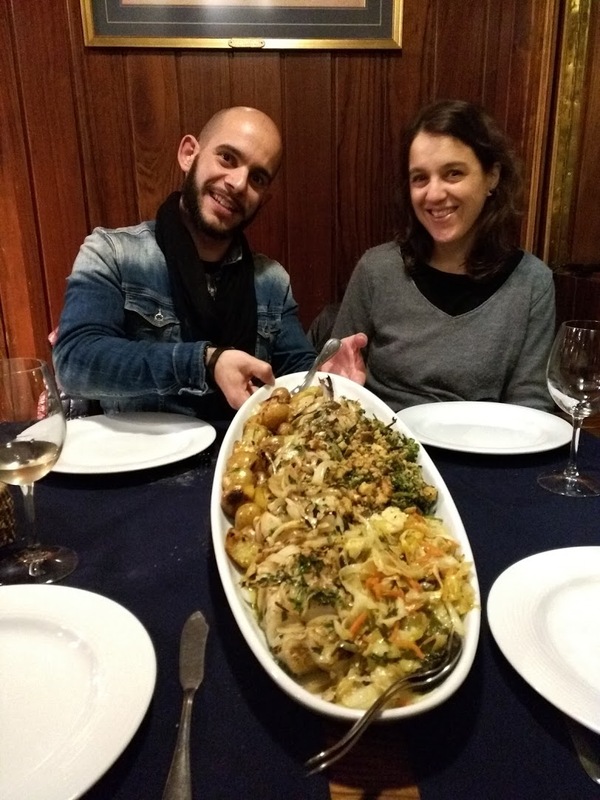 Besides the musical work which kept me very busy (I didn’t even get a few hours to visit Porto or Lisbon) it was a real pleasure to get to know Portugal and its food better (so many ways to cook and enjoy salt cod) and meet lots of new people and old friends. Hugo (Simões), Henrique (Portovedo), Jaime (Reis), and the irrepressibly jocular Diana (Ferreira) made my visit a very happy, uplifting, and musically fruitful trip. Thanks to all.